The customer location report gives you an overview of where your customers are from. 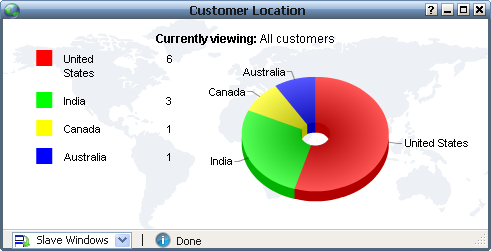 To view statistics about customers from a particular country, just click on the section of the pie chart for that country. 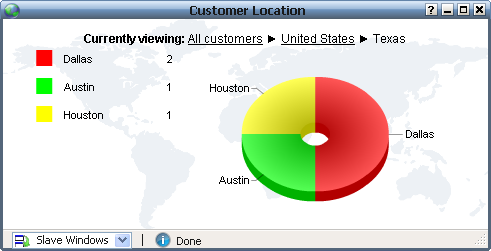 To view statistics about customers from a particular state, just click on the section of the pie chart for that state. To save the report as an image, right click anywhere within the window and click on "Export as image". You will see a message "Collecting data" for some time and you will then be able to save the image to a location of your choice.